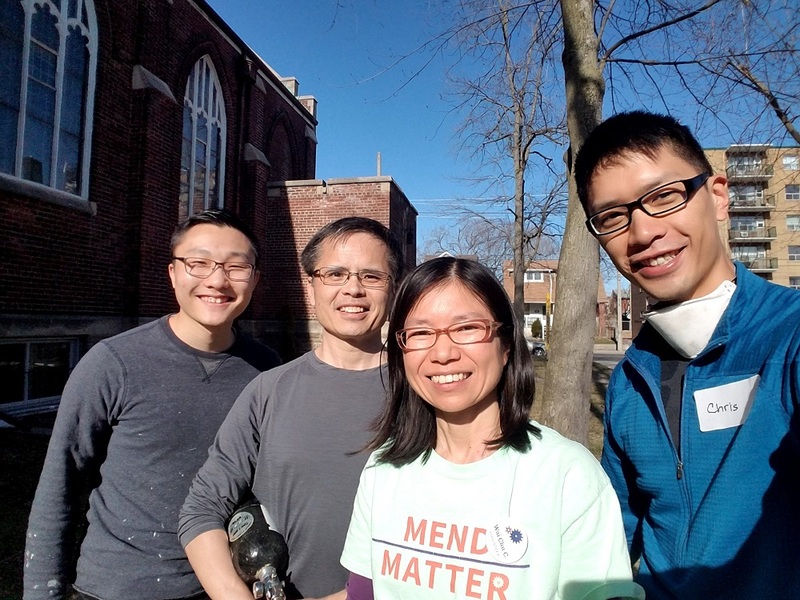 On the Earth Day weekend, April 21, the Repair Café team visited Toronto Chinese Mennonite Church in East York. 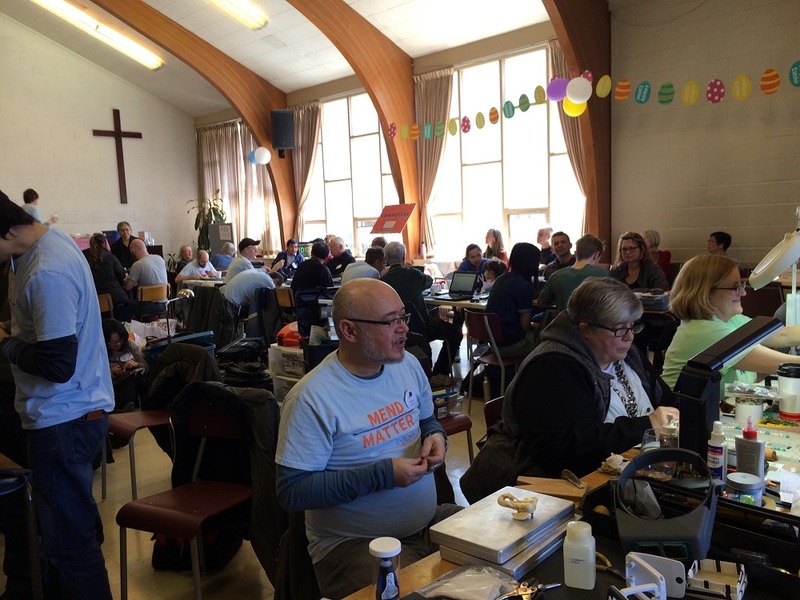 This was our first time offering a full café in a religious setting. 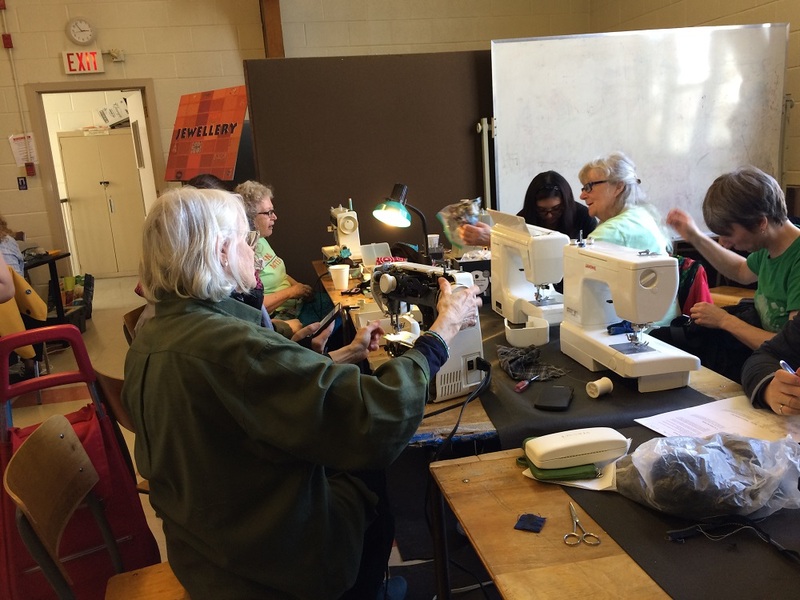 We arrived early to set up, and thanks to the help of the church staff and volunteers, the congregation hall was quickly turned into a workshop space where different household repair stations were provided. 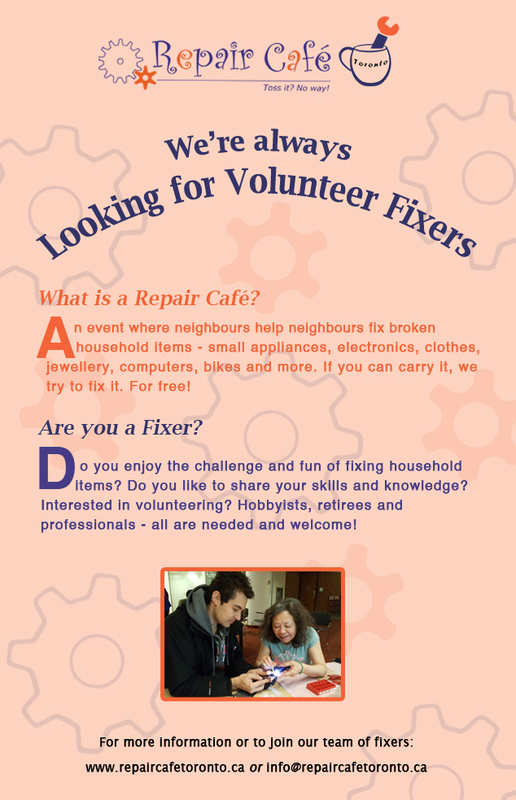 We had a lot of fixers with additional hands from the church throughout the event. Our visitors brought in a variety of household items, including vacuum cleaner, lamp, laptop computer, headphone, clock, chair, sweater, pants, knapsack, purse, necklace, earrings, book, bike, and many other items. 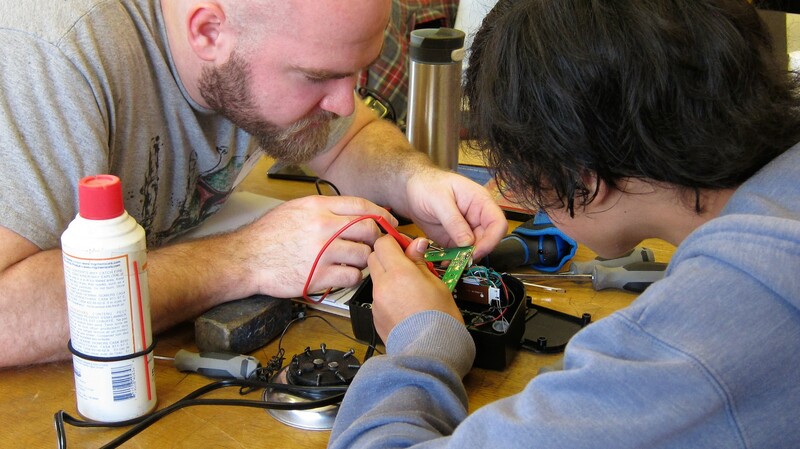 In the photo above on the left, Ivy, a visitor, works on a lamp with the guidance of our fixer. In the photo on the right is our fixer Jen repairing a cassette player. 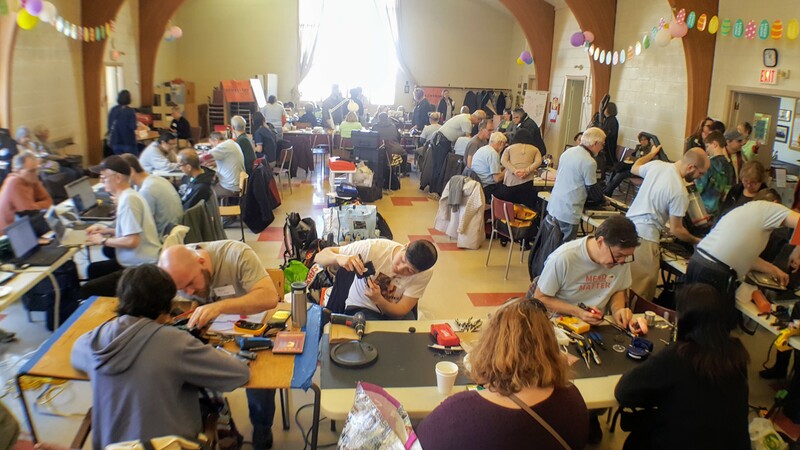 Over the course of the four-hour event, we had 85 visitors and fixed 95 items. There was a lot of positive energy inside the hall and it spilled outside the building. 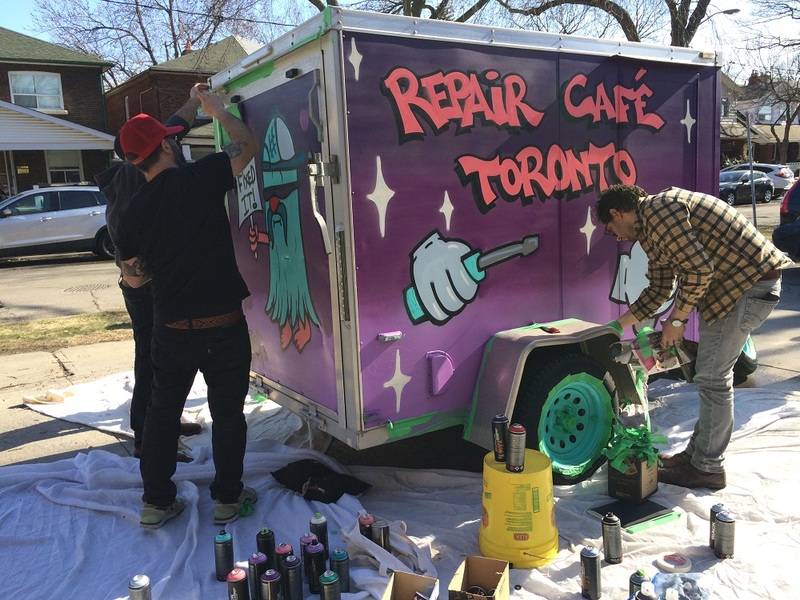 This month, we painted our new trailer. The church kindly provided outdoor space for our painter, Erin, to create some magic with his colorful design. In the photo below, Erin is the one wearing a red cap, and Nat (left) and Dan (right) assist him to remove the tape around the edge of the trailer. Our bike repair station was beside the trailer. 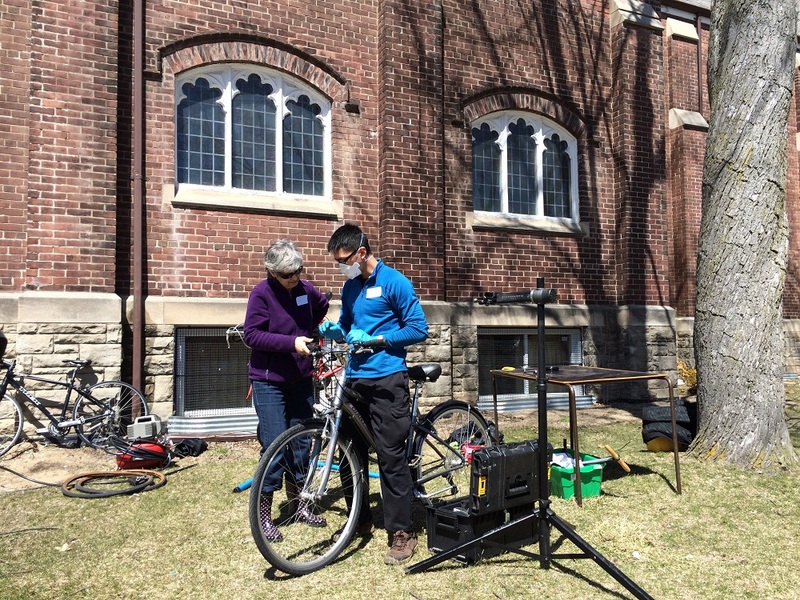 Below, our bike fixer, Chris, works with a visitor on her bike. Chris worked with his fellow fixers, Pastor Brian Quan and Aaron, at the bike station throughout the afternoon. In the photo below, Chris is on the right, Aaron is on the left, and beside Repair Café co-founder, Wai Chu Cheng, is Pastor Quan, who we discovered is a fixer too. 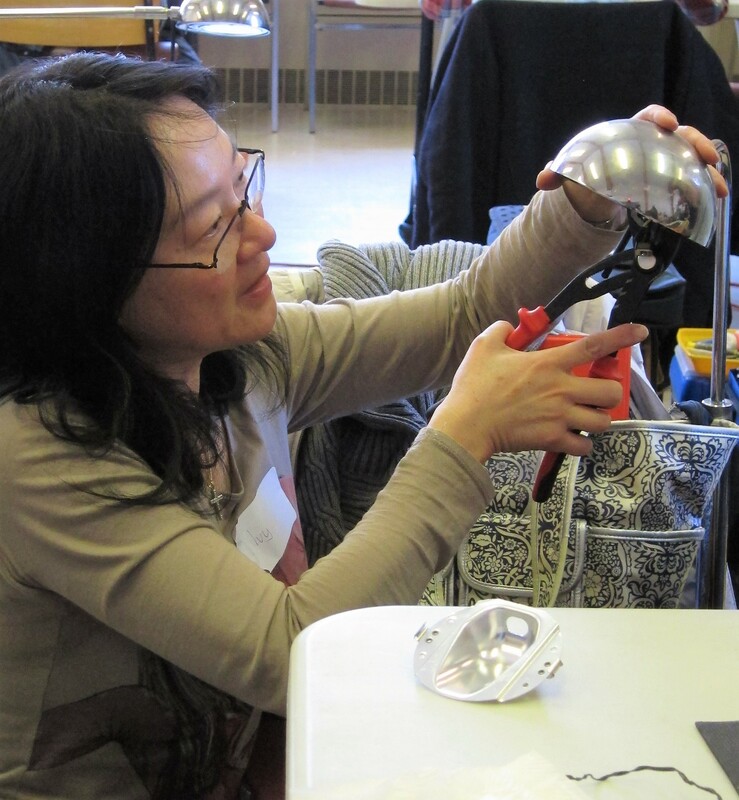 Don’t miss our next Repair Café at Parkdale Public Library on May 12. It is our 5th anniversary event! For details, please visit the Upcoming Events page. Hope to see you there!